Ectropion is the medical term used to describe an outward turning or malposition of the lower eyelid and lashes. The eyelid margin is everted, or turned out. 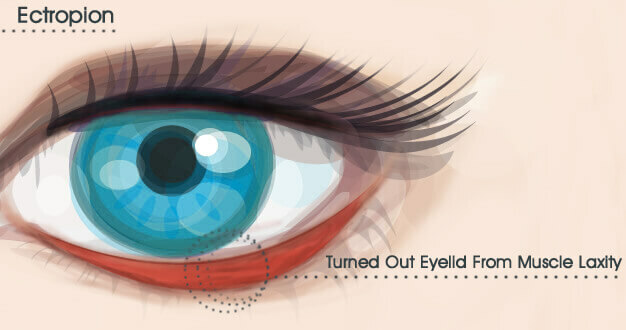 As a result of the eyelid being turned out, patients typically experience redness, foreign body sensation, and excessive tearing because the eyelid is not able to properly remove the tears from the eye to the tear duct due to the malposition. There are typically three common types of ectropion. The most common type of ectropion is an involutional ectropion, which occurs when the tissues of the eyelid relax as a result of the aging process. Cicatricial ectropion is caused by a shortage of skin on the eyelid, usually due to scar formation either from surgery, radiation, infections or inflammation. In this condition, the eyelid is typically pulled away from the eye and may assume a red or infected appearance. Paralytic ectropion is caused by paralysis of the seventh nerve, which controls the muscles of facial expression. Paralysis of this muscle can be present at birth or, more commonly, as a result of surgery, infection, inflammation, or injury. Patients with a paralytic ectropion usually are not able to close their eyelid and are at risk for exposure, keratopathy (drying of the cornea), and epiphora (tearing). Ectropions should be surgically corrected before the cornea (front part of the eye) has irreversible exposure, scarring and/or becomes infected. The goal of surgery is to tighten the eyelid and its attachments to its normal anatomic position. Cicatrical ectropions may involve the use of a skin graft or alloderm graft in order to correct the position of the eyelid. How Do I Get Started with Ectropion Repair? 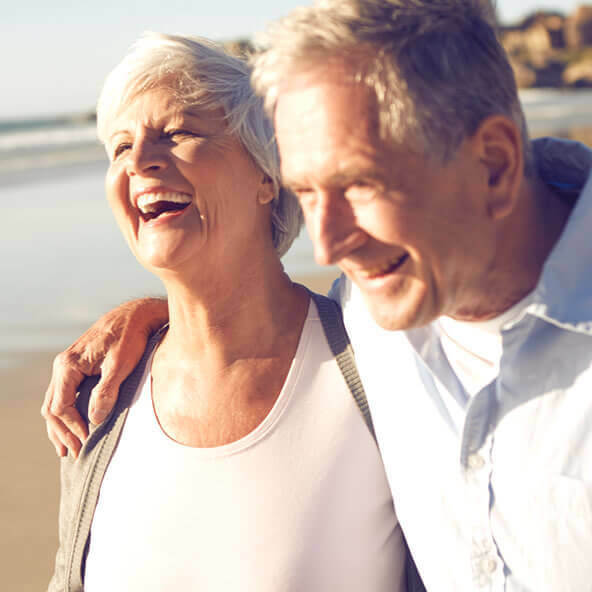 Dr. Joseph Selem and the staff at The Selem Center for Ophthalmology & Plastic Surgery would be happy to help you set up a private consultation to discuss ectropion treatments. Schedule an appointment online or call us at 305-444-0221.